Our tough, heavy-duty galvanized iron swing hangers are made to stay in place. Easily attach a swing or accessory with a snap clip in minutes. 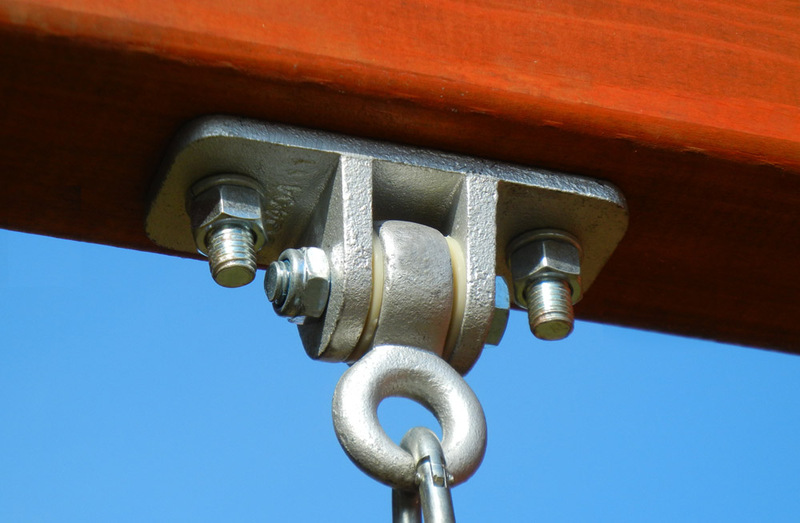 Ductile iron swing hangers are the strongest and most important piece of hardware for swings. Mounts easily to wooden swing beams. *Not available on any of the Value Cedar Models - High Flyer and Sky Loft. High quality hangers at half the price of the box store chains.